For decades, most California residents who wished to wager on sports either did so under the table or legged it to Vegas to put money on their favorite teams each week. However, with the advent of the Internet and offshore betting sites, legal California sports betting came into its own, even as the state itself did not actually regulate or oversee the practice. Indeed, the same story is true for most states, all of which – save for Nevada – were federally banned from offering land-based, local sports wagering by the Professional and Amateur Sports Protection Act (PASPA, 1992). Now that PASPA has been overturned by the Supreme Court, however, legal California sports betting can finally technically come to the state in a domestic, land-based fashion. However, before that happens, there are some other aspects of the local wagering environment that need to be considered, and the CA state legislature will have their work cut out for them in getting the industry up and running. That said, legal California sports betting at in-state, land-based venues seems like a foregone conclusion in the medium-term. And in the meantime, you can always enjoy legal sports betting by wagering online at offshore books, which remains entirely legal and safe for all CA residents. 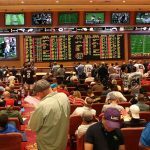 Is Land-Based Sports Betting Legal In California? Right now, land-based sports betting is not legal in California, as the state has yet to implement any local laws establishing the rules and regulations for the pastime. There are a few hurdles when it comes to establishing a local sports betting industry in CA, too. Primarily, these have to do with the current status of casinos and the state’s gambling laws, which have put all gaming in the state (save for the state lottery, commercial card rooms, and various charitable pastimes like raffles and bingo) under the purview of the Indian community. Remember, CA is the birthplace of the “Indian casino” concept, established by the 1987 case California vs. Cabazon Band of Mission Indians. (This led directly to the Indian Gaming Regulatory Act, which became law in 1988). This is significant, as sports betting is quite popular and lucrative, and most states have so far been reticent to “give” the industry entirely over to the tribes without attempting to find a commercial compromise. As such, there will likely be negotiations, revised compacts, and similar legal wranglings before the legal California sports betting industry gets off the ground. Is It Illegal To Bet On Sports Online In California? No, it is not illegal to bet on sports online in California, provided you do so at a reputable, legitimate offshore sportsbook. While CA residents cannot hop on the Internet and place wagers at a local establishment or even at casinos in Las Vegas (thanks to the Wire Act, which forbids sportsbooks from accepting out-of-state wagers of any kind), bettors in the state can freely access and use online, offshore sports betting sites. This is possible because federal laws like the Wire Act and the Unlawful Internet Gambling Enforcement Act (UIGEA, 2006) do not apply to individuals placing sports wagers – they only apply to sportsbooks and banking institutions, respectively. Because offshore sportsbooks operate entirely outside of US jurisdiction, and because it is legal to place wagers over the Internet as a private bettor, you can use these sites with impunity. Is There Anywhere In California That I Can I Bet On Sports? If you’re looking for a storefront or lounge in California where you can legally bet on sports at the venue itself, there aren’t any such places at this time. However, if you use an offshore sports betting site, you can wager on athletics in CA no matter where in the state you are, from the Redwood Forest to the desert sands of the Baja border and everywhere in between. Best of all, if you use the offshore legal sportsbooks, you can join several and shop lines to find the best odds and values for literally any given wager. Frankly, even if (or rather, when) the state installs legal California sports betting, you’ll almost always be better off using offshore books – particularly if you intend to bet on any of the many professional home teams in the Golden State. If, however, you’re looking for the closest city in which to place sports wagers right now, you’ll have to go across the border into Nevada. 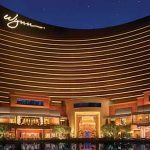 (CA residents to make up the majority of Sin City’s customers, after all.) New Mexico also has one venue for legal sports betting currently open to the public, but the activity likely isn’t worth that long of a trip when Vegas is just a few hours’ drive away. Still, bear in mind that you should only make these trips if you want the experience of wagering in a physical venue catering to gamblers. Otherwise, betting at legal online sportsbooks is a far more economical and profitable proposition. California sports betting and gambling laws are fairly clear. The state’s ban on sports wagering is defined in § 337a of the California Penal Code (Part 1, Title 9, Chapter 10. 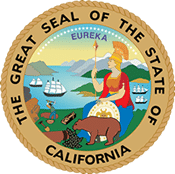 Gaming), and states that “pool selling or bookmaking, with or without writing, at any time or place” within CA borders is strictly prohibited, and violators are subject to up to a year in prison and a fine of $5000 for a first offense. The state’s horse betting laws are covered under Chapter 10.5 of this same section, authorizing pari-mutuel wagering at horse racing venues in the state. Further, Chapter 5 of the California Business and Professions Code § 19800—19985 (aka the Gambling Control Act) describe the various forms of legal and illegal gaming in the state. There are currently no active pending bills in the California congress, but the most recent attempt to legalize sports wagering was ACA-18, which died in committee at the end of 2018. However, you can expect some variation of this bill – which describes the oversight and tax revenue mechanisms of legal California sports betting – to be reintroduced in short order during the next session. What Teams Can I Bet On In California? California has more professional and college teams of note than any other state, and it isn’t even close. As such, no matter where you go in CA, you will be surrounded by rabid fans of local home teams. And, naturally, you will also be surrounded by active, avid sports bettors. 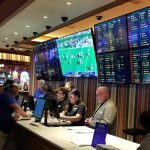 (One of the things to be cautious about going forward is the home-team crowd at any local sportsbooks that might open, as so-called “homers” tend to skew the odds enough that payouts often suffer considerably as the house ups its take to compensate. For this reason, in areas with heavy sporting presences, it makes good sense to use online, offshore sportsbooks, as they don’t have this same issue on their boards and lines – and takes – remain more reasonable.) The following teams are the most popular clubs when it comes to legal California sports betting. Horse racing betting in California is an allowed form of gambling in the state, and there are several world-famous tracks in CA where important graded stakes races are held every year. Santa Anita Park (located in Arcadia) is the most famous site for horse racing betting in CA, and the one-mile synthetic track hosts the Santa Anita Derby, the Santa Anita Handicap, and the Santa Anita Oaks, all of which are Grade I events. The Santa Anita Derby has a $1 million purse and is considered to be the strongest “preview” race for the Kentucky Derby. Other longstanding racetracks in CA include Golden Gate Fields in Berkeley and the Del Mar Racetrack in Del Mar. Daily fantasy sports (DFS) in California is not technically legal, though the activity is allowed and remains unregulated (but bound by the various operators’ terms of service). All of the country’s largest DFS providers operate in California, and the state has been the site of many DraftKings and FanDuel tournaments. As recently as 2018, California attempted to pass legislation formally legalizing and regulating daily fantasy sports, but this initiative died in congress. That said, it is only a matter of time before the state passes laws to legalize the activity, especially since they aren’t actively banning operators like DraftKings and FanDuel. It is likely that DFS legislation will be bundled with future sports wagering legislation. Until then, however, you can freely participate in paid (and free) DFS leagues and tournaments in California, and your memberships at DraftKings and FanDuel (as well as other companies) should always be in good standing. Can I Bet Real Money On Sports In California? Yes, you can bet real money on sports in California, right now! All you have to do is join an overseas sportsbook like Bovada, BetOnline, SportsBetting, 5Dimes, BookMaker, or BetDSI. These sites are the cream of the crop for legal California sports betting, and joining is free and fast. Even better, you can join as many different sites as you wish, though no operator allows duplicate accounts (which can lead to funds forfeiture and account termination). Is Online Sports Betting Safe In California? Absolutely! However, there are caveats. Right now, online sports betting is safe in California only if you use an offshore sportsbook. Because these sites operate outside of CA and US legal jurisdiction – and because there are no state or federal laws that criminalize the individual for placing sports wagers – it remains totally legal to use these sites. In addition, because these sportsbooks use state-of-the-art encryption and security standards, your personal information – and your money – are safe with them at all times. Will Sports Betting In California Ever Be Legal? Legal California sports betting should be legal in the near future. The only hurdles left to clear, now that PASPA has been overturned, are the tribal compacts and the existing gambling restrictions in place in the state. However, sports betting is so popular, pervasive, and profitable that it is in the interests of both the state and the tribes to come to an amicable agreement ASAP. Will I Get Arrested For Sports Betting In California? You will never get arrested for sports betting in California if you stick the sportsbooks listed above (Bovada, BetOnline, etc.). However, if you choose to go with an unlicensed black-market bookie, you could lose your money with no legal recourse. Even worse, you could wind up stuck in the middle of a legal sting, as bookmaking is definitely against the law, even though betting on sports isn’t. 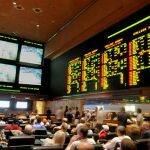 What Is the Sports Betting Age In California? There is technically no minimum legal age to bet on sports in California, as the activity doesn’t officially “exist” in the state (yet). When sports wagering does make it to the Golden State, you can expect the age limit to be 21. That said, all the top sportsbooks only require their members to be 18 to join and gamble. However, under no circumstances should you bet on sports under the age of 18 at these books, as they will ban you permanently for violating their TOS. Are There Mobile Sports Betting Apps Available In California? There are no mobile sports betting apps available in California, as the App Store and Google Play do not allow overseas sites to offer paid gambling apps in their marketplaces. 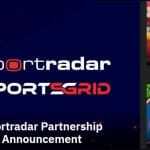 That said, every one of the top sports betting sites has a mobile portal that mimics a native sports betting app – all you need to access this small-screen-optimized, easy-to-use mobile betting feature is to access your site of choice via your iPhone’s or Android’s web browser. California mobile sports betting is quick and convenient! Where Is The Best Place To Bet On Sports In California? The best place to bet on sports in California is wherever you are, right now! Because all of the top sites offer mobile sports betting portals designed for easy browsing and account management on the small screen, you can bet any time, any place! All you need is an iPhone, iPad, Android device, or other modern mobile with an up-to-date web browser. From there, just visit Bovada, SportsBetting, BetOnline, or another top site and place your bets. Should I Use A Local Bookie In California? You would not personally be breaking any laws by using a black-market sportsbook, but you should not use a local bookie in California until those bookies can be licensed and regulated by the state. It simply isn’t worth the added risk of losing your bankroll or getting caught up in a police dragnet, especially when legal online sports betting is much more convenient and accessible in the first place. Do Any Casinos In California Have Sports Betting? Currently, none of the casinos in California have sports betting available. While this will certainly change in the future once the state and its many native tribes restructure their gaming compacts, your only option for legal sports betting in California is currently to use an offshore sportsbook. Is It Legal To Bet On Sports With My Friends In California? Social gaming is not barred by any law in the Golden State, so it is technically legal to bet on sports with your friends in California. The CA Penal Code § 337j(2)(D) specifically allows gaming “in private homes or residences, in which no person makes money for operating the game.” In other words, if there’s no house take, you can enjoy private legal California sports betting with your friends, provided you do so in a private location.